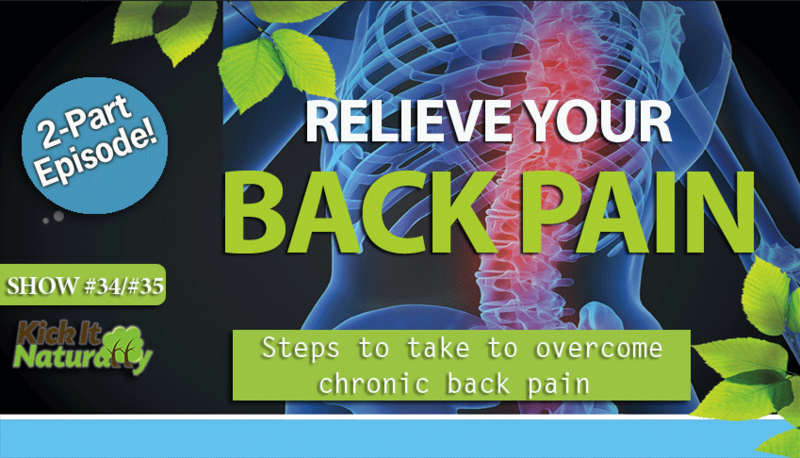 You can listen to Part 1 about Back Pain with the player at the top of the page. Part 2 is below. Back pain can really get in the way of your ability live your life like a normal person. If you haven’t noticed already, your back is most of your body 😉 and when it hurts it can lay you out literally. Fortunately, there are some really effective natural therapies you can use that can have you back on your feet very, very soon. One of the main reasons people develop back pain is due to postural misalignments that can be corrected through simple corrective exercises you can do in the comfort of your own home. There are also body chemistry imbalances that can cause joint, muscle and back pain. Listen in to this episode as Tony, Will and Kinna talk about the biomechanical and biochemical causes of and solutions for back pain and joint pain in general. The connection between posture, movement patterns, back pain and joint pain. Smart Yoga for Pain Relief: a resource you can use to help assess and correct postural imbalances that may be causing your back pain. Body chemistry imbalances that may be contributing to tissue inflammation, nerve pain, muscle tension and tissue degeneration. How to use self tests to assess your own body chemistry and detect body chemistry imbalances that may be contributing to back pain and/or joint pain. Steps you can take to correct your posture and movement patterns using corrective exercises. Steps you can take to balance your body chemistry to alleviate body chemistry imbalances that may be contributing to back pain and/or joint pain.